You will see in these essays moments of brilliance, vulnerability and self-reflection. 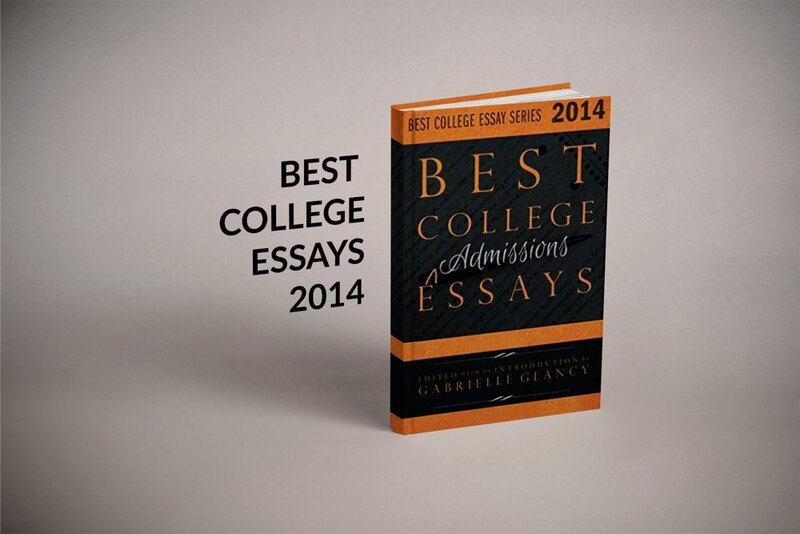 The essays in this anthology can be used as models for writing the most important essay of a student’s life — the college admissions essay. 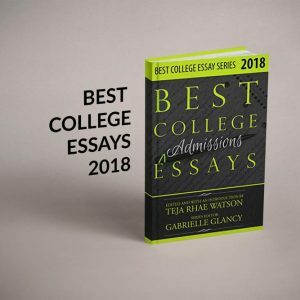 As the title implies, this book showcases the best college admissions essays of the year — essays that got students into all the top schools in the country. 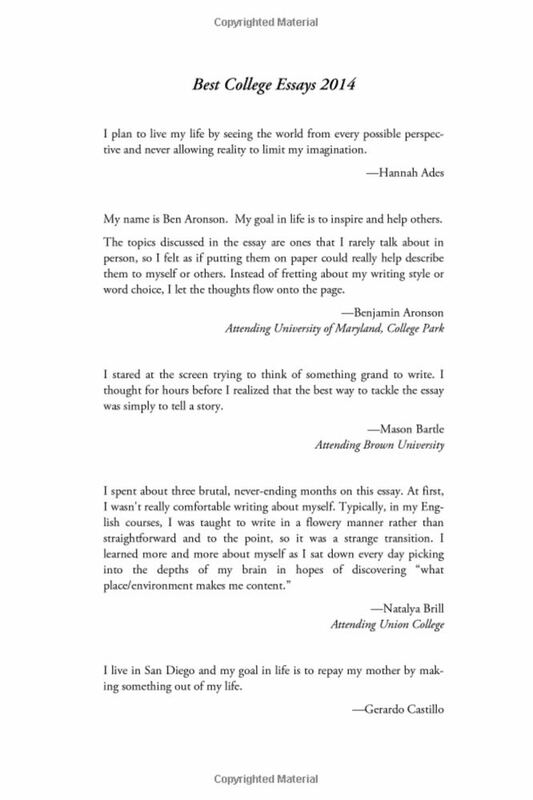 Reading sample essays is a great way to learn how to write one. This book provides excellent examples, along with descriptions by the students themselves, of the process they went through in writing their essays. 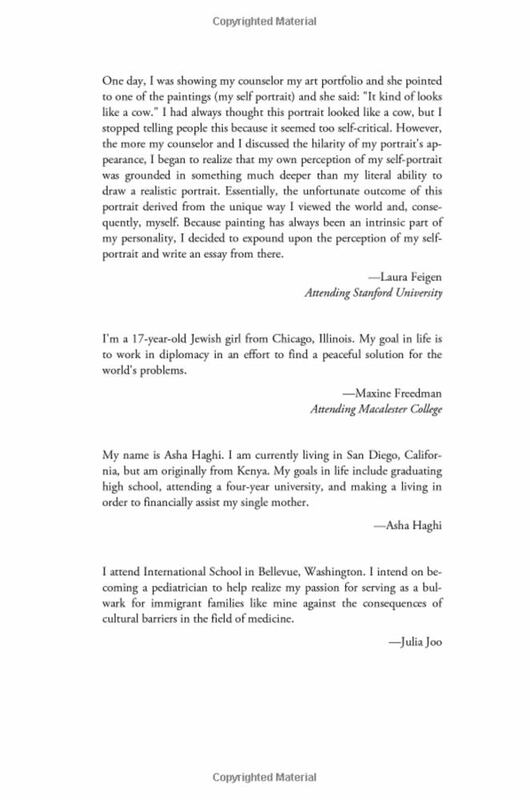 The essays in this anthology give us a glimpse into the dreams, lives and stories of young adults at the moment they are reaching towards, and about to step into, the world. 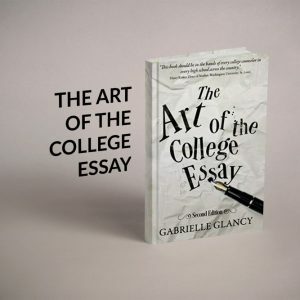 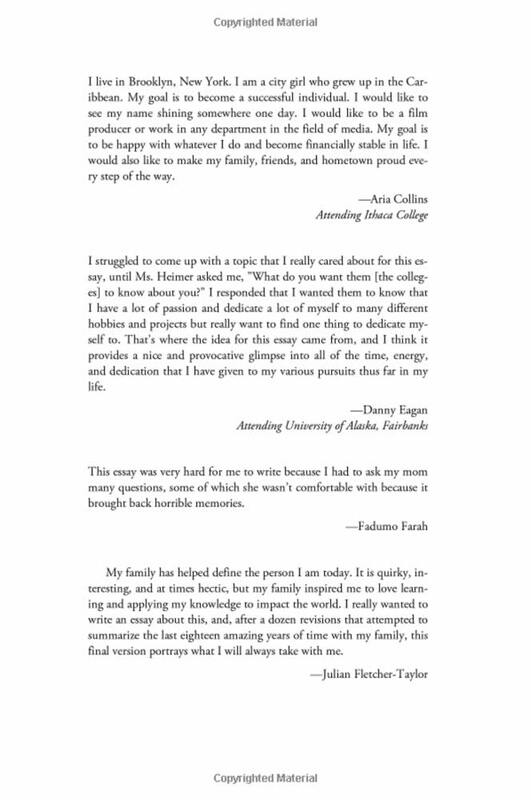 Edited and with an introduction by the foremost professional in the field, college essay writing expert, Gabrielle Glancy, this book serves as a wonderful companion to her bestselling book, The Art of the College Essay. 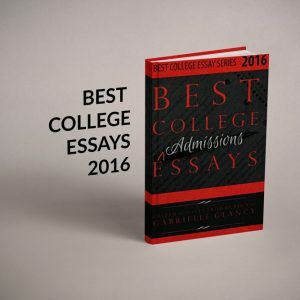 My son enjoyed the book and found it to be very helpful.